Everyone has a signature, something that they do and they're known for, something they call their own, something that sets them apart, and something they can identify with and call their own. 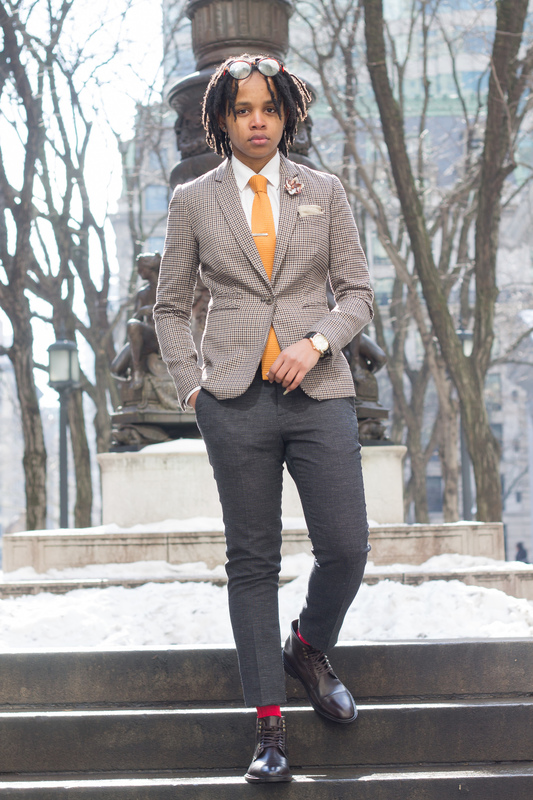 To all of you, my signature thing is the fact I'm a girl who dresses in menswear; it sets me apart. Although I've received a tremendous amount of support, I've also gotten quite the backlash. Some people just aren't open to what isn't considered the norm, but I refuse to let their spurn stop me from being me. This #ootd is about originality. What makes you stand out? I'm wearing tiny dotted pack pants with my tricolored gingham blazer. When in doubt, white shirts always work, and it's a perfect canvas for the more vivid colors. 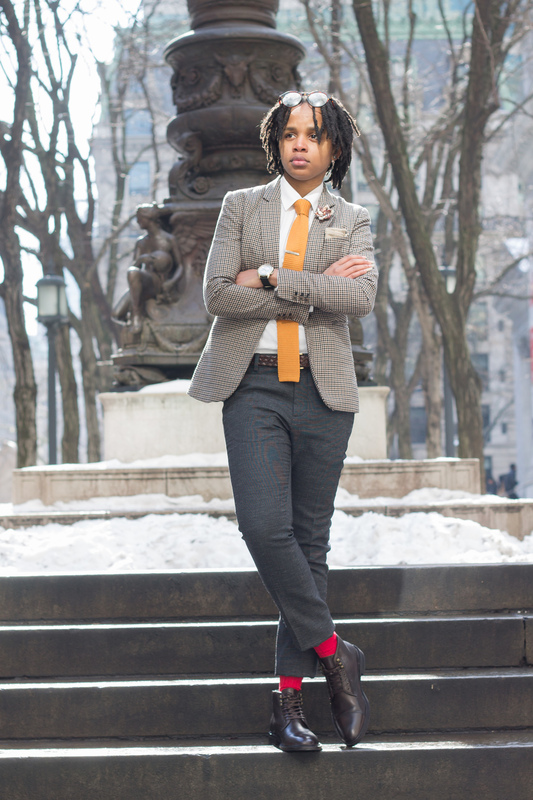 I really wanted to make a statement with this look, so I went with this the burnt orange tie and bright red socks which provided just the right amount of contrast. Speaking of originality, how about this beautiful kanzashi plaid lapel flower? It is unique, and bold; it tied the whole together. I take great pride in selectively picking my shoes. I have an exquisite shoe collection. I know how weird that may seem, but I only wear shoes that speak to me. When I saw these boots from Gordon Rush's collection, I knew I had to have them. These are the Lemond boots and for less than $250 at Bloomingdale's, they are a sublime steal.